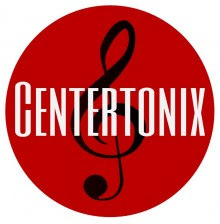 Cotuit Center for the Arts is excited to announce auditions for a new vocal group, Centertonix, an a cappella ensemble to be based at CCftA. Directed by Steve Stein, the group will perform vocal harmony arrangements of jazz, show tunes, classical, and traditional pieces. One two-hour rehearsal a week beginning at 7:30 P.M. will prepare Centertonix for regular performances at the Center and possibly beyond. Auditions will be held at 7:15 on Tues, Feb 21 and Wed, Feb 22 in the Theater. Callbacks will be Sat, Feb 25 at noon, also in the Theater. Strong singers are encouraged to attend, prepared to sing a piece of their choosing without accompaniment. Sight singing is a plus, but not necessary. February 21 and 22, 2017 at 7:15 PM, Cotuit Center for the Arts, 4404 Falmouth Rd, Cotuit, MA. Callbacks February 25 at noon.